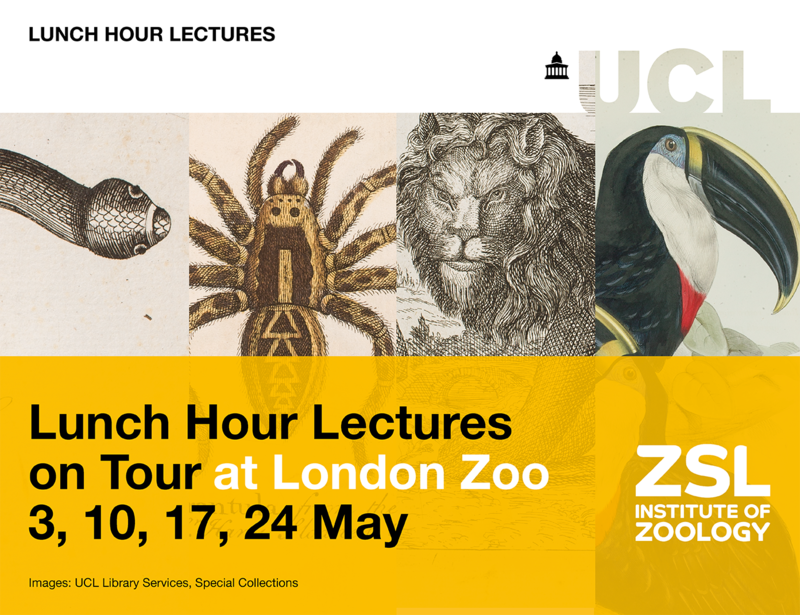 Throughout May, UCL's famous Lunch Hour Lectures will be going wild in a partnership with ZSL London Zoo. UCL Events is excited to launch this new programme of free talks ranging from discussions of biodiversity, unnatural nature, robots and conservation, and how humans fit into the animal kingdom. Go on an adventure off campus, bring your lunch and your curiosity to the zoo and find out about exceptional research being led by UCL academics. The lunchtime talks will be held across four Thursdays in May and take place in the Huxley Lecture Theatre and Bartlett Suite in ZSL London Zoo. Gibbonology: Why Study Southeast Asia's Small Apes? Conservation 4.0 - Will robots take your job?